Tuesday 23rd September 2014 – 5.40pm – Chris Kowalik. 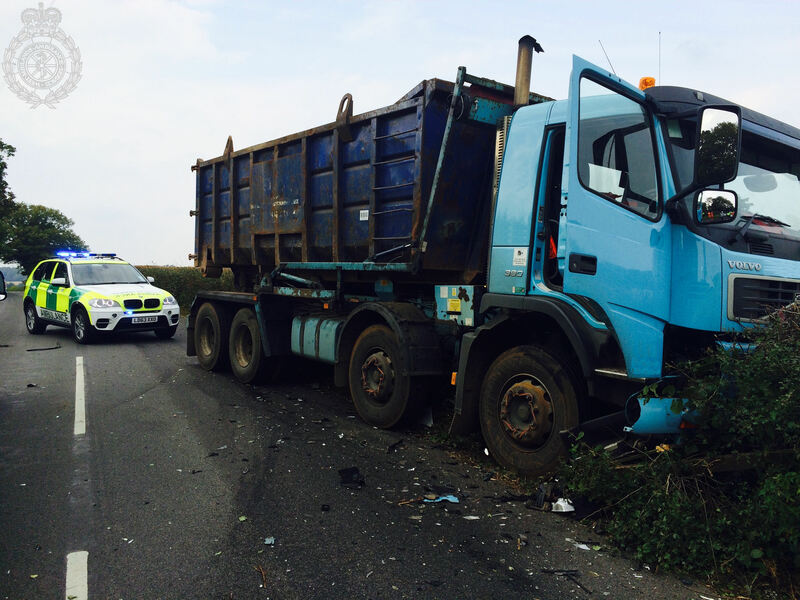 A young driver has been injured in a collision involving the car he was in and a lorry in Warwickshire. West Midlands Ambulance Service was called to the junction of the B4115 and Leamington Road at Leek Wootton shortly before 2.20pm today. 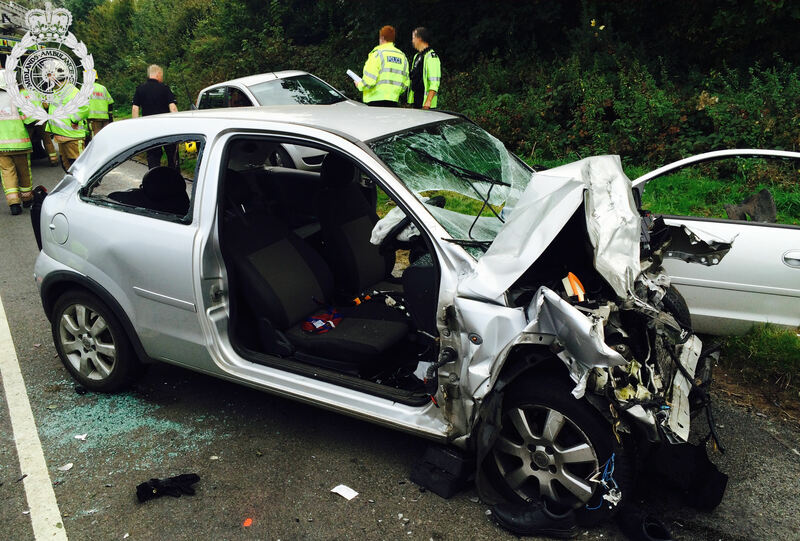 A West Midlands Ambulance Service spokesman said: “The car driver, a man in his late teens, had abdominal, pelvic, leg and back injuries and fractured ribs. He was freed from his car after the fire service had cut off its door. He was given pain relief, a pelvic splint was applied and he was immobilised with the use of a spinal board and neck collar. Then, accompanied by the air ambulance doctor, he was taken by land ambulance to University Hospital Coventry and Warwickshire.